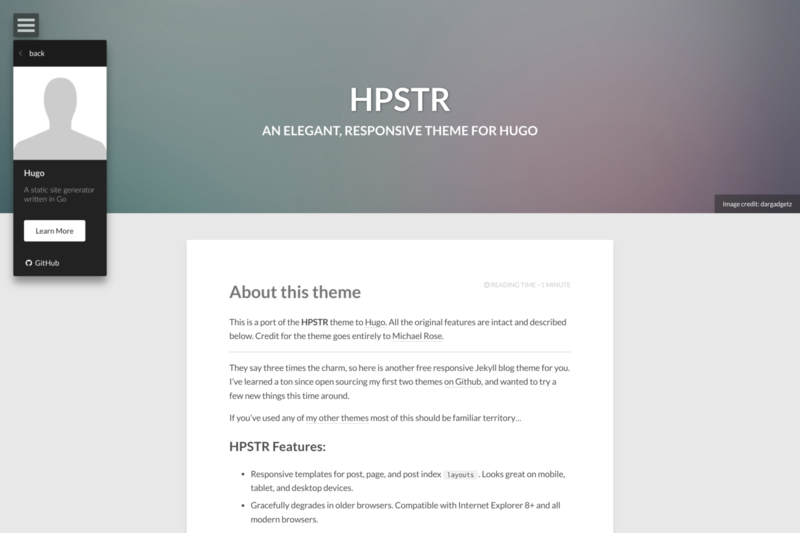 This is a port of the HPSTR theme to Hugo. All the original features are intact and described below. Credit for the theme goes entirely to Michael Rose. Responsive templates for post, page, and post index layouts. Looks great on mobile, tablet, and desktop devices. Simple and clear permalink structure[^1]. With Git installed, run the following commands inside the Hugo site folder. If Hugo has not yet been installed, read the setup guide here. You can get a zip of the latest version of the theme from the home page and extract it to the themes folder.